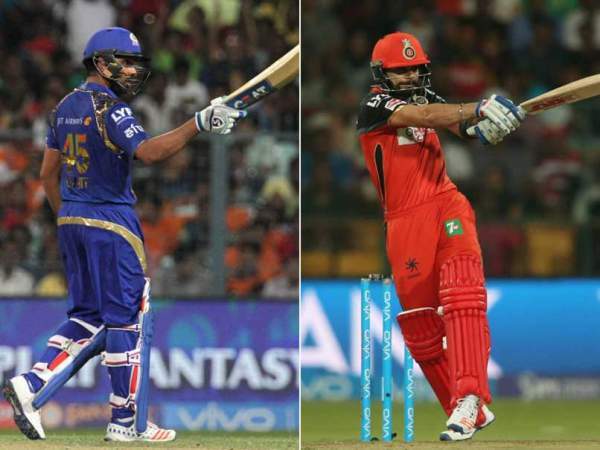 RCB vs MI Live Streaming: IPL 2017 live cricket score of Royal Challengers Bangalore vs Mumbai Indians is available online and here. The Indian Premier League season 10 is going on in its full form. Today’s match is one of the most anticipated of this year’s tournament. It is to be played at Chinnaswamy Stadium slated to start at 4 pm IST. Gujarat Lions vs Pune Supergiants kick off at 8 pm IST. The captain of Royal Challengers Bangalore, Virat Kohli will make his return today and the team will hope to make a comeback in the tournament. Virat was announced to be match fit yesterday. Speaking of the IPL 2016, Mumbai Indians defeated Bangalore both times when they faced each other. RSA’s AB de Villiers was made the interim skipper and he played a captain’s inning in the last game as he scored 89 not out for 46 balls. Watch: GL vs RPS Live Stream. With his help, RCB was successful in scoring a respectable 148 runs for 4 wickets. Despite Villiers’ smashing knock, Bangalore lost to Punjab by 8 wickets. As of now, MI stands at 4th spot in the IPL 2017 points table winning two of three matches. Mumbai won against KKR narrowly but dominated in both bat and ball department against Sunrisers Hyderabad. Rohit Sharma-led team won by 4 wickets. In the Indian subcontinent, the audience can watch cricket online on Hotstar.com while the live telecast will be available on Sony Pictures Network – Sony LIV, etc. # OSN Rights – (MENA Counties) – Algeria, Bahrain, Egypt, Iran, Iraq, Israel, Jordan, Kuwait, Lebanon, Libya, Mauritania, Morocco, Oman, Palestine, Qatar, Saudi Arabia, Sudan, Syria, Tunisia, UAE, and Yemen only. # RCB vs MI live streaming on Now TV & Cricketgateway.com – Hong Kong.